Most people know — and can relate to — their Sun signs at on least a cursory level. But not everyone knows their Moon sign, and in fact there are many who don’t even know they have a Moon Sign. From an astrological perspective the Moon sign is not only just as important as the Sun sign, in some instances it’s even more important. Eastern astrologers, for example, are more interested in Moon signs than Sun signs, and in many areas almost everyone knows their own Moon sign from an early age. Sun sign astrology (horoscopes) became popular because the Sun’s zodiacal position is the only one that can be determined by birth date alone. The Sun occupies the same relative position in the zodiac on the same day every year. That makes it easy for laypeople to know their own Sun signs, without having to consult an astrologer or navigate the complicated waters of in-depth astrology. Even though the Sun is over 400 times the size of the Moon (another reason some place more importance on it), it’s also over 400 times further away. This is why they appear to be relatively the same size from our vantage point. It’s also why we have Solar and Lunar eclipses. Due to its synchronous rotation with the Earth, the Moon always shows its same face to us. Yet that face “changes” throughout the month (from our perspective) as it moves through its various phases. We know that the Moon reflects the Sun’s light and is therefore tied astrologically to the inner regions of our psyches. Where the Sun represents your will, ego, purpose, consciousness and outer Self (among many other things), the Moon represents your emotions, feelings, unconscious, security needs and inner Self. The sign the Moon is placed in at birth will tell you a lot about how those needs are met, how you’re wired emotionally, and how you relate to others in the most intimate or private settings. This is further defined astrologically by interactions between the Moon and other planets, as well as your natal Moon phase, house placement and current transits. All of these can be interpreted for you by a professional astrologer, but if you’re looking for a quick synopsis, there are some on-line tools that can instantly provide a simplified overview based on Moon sign alone. Because the Moon changes signs every 2+ days, birth times are helpful for nailing down the correct Moon sign for those born on a day it changed signs. 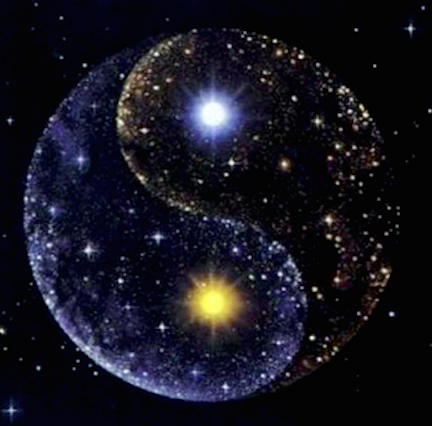 As the Moon reflects the Sun, it translates astrologically to the “inner you” (Moon) reflecting the “outer you” (Sun). In this respect the astrological Moon refers to instinct, emotions, feelings and subjective responses. It also relates to fears and insecurities. With respect to relationships, astrologers look to the Moon in each natal chart to see how two people relate to one another. This is further defined by the composite Moon — which is based on mathematical calculations involving midpoints. A lot can be determined about the relative health of a relationship (or relationship potential) by looking at the connections between the individual Moons, as well as the composite Moon. On a mundane level, the astrological Moon ties into childhood, mother, the womb experience, and the home. But for the purposes of this article we’re going to be looking at the psychological aspects. For the Moon in Aries, emotions are typically not readily expressed. Drives and desires are. They’re ardent, passionate, impulsive and daring when it comes to expressing their feelings. But they also lose interest quickly, especially when their natural hunter / pursuing impulses are short-circuited by a love interest who doesn’t allow them to play out. What are they afraid of? For Moon in Aries, fear is an oxymoron. They push past their fears better than anyone. They resist monotony, routine, boredom and anything (or anyone) that is too easy. They love a challenge and will often move on once something no longer challenges them. They will seldom admit to being afraid. What do they need in order to feel secure? Action, adventure, spontaneity. Trying something new. Being ahead of the game. Getting caught up in the moment. Expressing their needs without judgment or censure. Competition. Being challenged. Moon in Taurus individuals take a more calm, practical and cautious approach to expressing emotions and feelings. They need physical closeness and security. They’re territorial and can be possessive. They take things slowly, savoring the art of love and romance, much like someone would savor a meal or a bottle of fine wine. They’re afraid of change. They will stay in a comfortable relationship well past its expiration date because it’s too daunting to consider the prospects of change. They also fear instability, weakness and uncertainty. Being perceived as wishy-washy, unreliable or fickle. Impulsivity. Being rushed or imposed upon. They require comfort, stability and familiarity in order to feel secure. Affection. Commitment. Perseverance. Security. This is a very sensuous archetype and as such requires close physical contact. They need to be pampered, touched and have all five senses stimulated. With Moon in Gemini, emotions may be all over the map. This is a dual or mutable sign, which can translate as ebbing and flowing emotionally — or “hot and cold.” They’re restless and easily bored, so tend to develop a variety of interests. This Moon sign can be scattered and tangential, which is why they’re so flexible and adaptable, even in the midst of chaos. Moon in Gemini natives “fear” monotony and routine. Boredom. Strict deadlines. Being held accountable for half-baked ideas or plans. Not having options. Being seen as predictable or unimaginative. Being told to grow up. They need a lot of mental stimulation in order to feel secure. They need variety, change, communication and intellectual rapport. Social interactions. The exchange of ideas. Words. Music. Humor. Adaptability. Spontaneity. Flexibility. Play. Get a detailed love horoscope. Our psychics are waiting to connect with you! Moon in Cancer people are virtual gold-mines of emotional expression. Or some might refer to them as land-mines. They can be loving, nurturing, sensitive and caring — or they can be moody, defensive, needy and irrational. Much of this depends on how secure they feel in their relationships with loved ones and family members. What are they afraid of? The Cancer Moon archetype is loaded with fears: most significantly, abandonment. Uncertainty. Infidelity. Being vulnerable. Taking risks. Being thrust into unfamiliar social settings. Being forgotten or overlooked. Being forced to face their fears. What do Moon in Cancer people need in order to feel secure? Reassurance first and foremost. Understanding. Empathy. Compassion. Affection. Family. Nurturing. To be loved and needed by those who are important to them. For Moon in Leo, love, romance, creativity and self-expression are all important features. They tend to wear their hearts on their sleeves and express their needs readily. They want to be seen as “special:” they’ll purr like kittens when they’re worshiped or adored — but can roar like lions when they’re not. What are they afraid of? Being disrespected. Being publicly shamed or humiliated. Being seen as ordinary. Being taken for granted or marginalized. Not being a priority. Being seen as replaceable. Having their honor or integrity questioned. What do they need in order to feel secure? Acknowledgment, respect and loyalty. Attention. Validation. Admiration. Approval. Appreciation. Gratitude. Being made to feel important or special. Moon in Virgo people like to think about what they’re feeling before they express it. They’re systematic and tend to analyze their feelings first, but this doesn’t mean they don’t feel. It means they want to understand their emotions and work on them, rather than just laying them all out on the line. They’re hard-working and dependable and want to be useful to others. They’re afraid of their own imperfections. As they tend to focus on the flaw — mostly their own flaws — they can get caught up in an endless cycle of self-doubt and self-recrimination. They fear imperfection. Disorder. Chaos. Inadequacy. Being taken for granted. Not being seen as courteous or dependable. What do they need in order to feel secure? Courtesy. Consideration. Decency. That they’re useful to others. That they have a purpose. That they’re always growing and improving. That there is always something (or someone) around to fix. With Moon in Libra, give and take is of paramount importance. There’s a need for balance in all of their interactions. They tend to mirror other people’s feelings right back to them, as long as they’re harmonious and civil. They don’t appreciate crude or harsh behaviors — and that extends to the expression of feelings. They can be very argumentative, but only when confronting injustice and unfairness. What are the afraid of? Disharmony. Imbalance. Opposition. Dissent. Being perceived as unfair or unjust. Being alone (or more specifically, unpartnered). Being seen as difficult or combative. Being forced to choose. What do they need in order to feel secure? Peace and harmony. Balance. Equality. Fairness. Justice. Team work / Partnership. Reciprocity. To be seen as “nice” and cooperative. To surround themselves with harmony and beauty. Moon in Scorpio individuals tend to keep their inner-most feelings completely under wraps. That is until they get to know you. They’re mysterious, secretive and can be emotionally guarded. They’re natural detectives and psychologists who may instinctively know more about what you’re feeling than you do yourself. What are they afraid of? Rejection. Exposure. Betrayal. Loss. Being seen as “weak.” Being made a fool of. Being misunderstood. Being manipulated or tested. Being duped or deceived. Feeling violated. Losing control. What do they need in order to feel secure? Trust is number one. They also need privacy, intimacy, depth and understanding. Loyalty. Fidelity. Allegiance. They need to know you have their backs — no matter what. For Moon in Sagittarius, the realm of emotions can get a little sticky. There’s only so long that people can gaze lovingly into each other’s eyes — and for most Moon in Sag folks even that’s a little too long. They’d much prefer going off on an adventure or conversing about the meaning of life. They’re optimistic and forthright and appreciate the same in others. What are they afraid of? Being smothered. Being hemmed in. Being indebted to someone. Formality. Games. Expectations. Drama. Restrictions to their freedom. Being told what to do, think or believe in. Pretense. Deception. Dogma. They need “space,” freedom and independence in order to feel secure. Adventure. Travel. Nature. Personal expansion. Truth. Authenticity. Transparency. Honesty. To be inspired. The freedom to grow, evolve and expand their horizons. Moon in Capricorn people can be emotionally reserved or repressed. Some may misinterpret this as coldness, but this is far from the truth. While they can be emotionally inhibited, this is often a bi-product of absent or unresponsive parents. They do have feelings; they’re just not always comfortable showing them. What are they afraid of? Failure. Being seen as unimportant, foolish or immature. Pettiness. Waste. Being seen as irrational or undisciplined. Being made to feel small or insignificant. Having their principles questioned. Embarrassing emotional displays. What do they need to feel secure? Discipline. Boundaries. Emotional propriety. To be looked up to, seen as accomplished or important. To be honored and revered. To be seen as dependable and reliable. To be respected and admired. To be successful. For Moon in Aquarius, the expression of feelings can be somewhat foreign. They’re remote, aloof, detached and sometimes unreachable. They filter their feelings through mental channels and approach them objectively. They have radical ideas and can be disconnected emotionally, but they do have needs. What are they afraid of? Being pigeonholed. Being seen as ignorant or narrow-minded. Conformity. Discrimination. Prejudice or social ostracization. Exploitation. Being out of the loop. Being on the outside looking in. Not having a cause to devote themselves to. What do they need in order to feel secure? Originality. Community. Companionship. Progressive ideals. Intellectual camaraderie, like-minded goals and a sense that they’re a part of something bigger than themselves. Humanitarian ideals. To make a difference in the world. Moon in Pisces people are the quintessential representation of sensitivity, compassion and unconditional love. They express their emotions freely, and often without regard for consequence. They’re gentle, self-effacing, self-sacrificing and idealistic.They can be avoidant and evasive, particularly when something threatens to upset their need for peace and harmony. What are they afraid of? Falling into the abyss. Dissolving into nothingness. Letting someone down or being responsible for their pain. Being forced to take a stand. Cruelty. Hostility. Confrontation. Being seen as unkind or lacking in compassion. Being uninspired. Not finding “meaning” in their lives. What do they need in order to feel secure? Something to believe in. Altruistic ideals. Deep personal connections. Tolerance. Forgiveness. Compassion. Understanding. Empathy. Sensitivity. Unconditional love and acceptance. The Moon may take a back seat to the Sun where horoscopes and pop astrology are concerned, but that doesn’t mean it’s less important. Knowing where your (or your loved one’s) natal Moon sign is can help you to identify your emotional strengths and weaknesses, as well some of the deeper emotional layers that are hidden from view. If you’d like more information about this or want to see how it applies to you personally, feel free to contact me or another astrologer on the site. Get a detailed reading when you talk to a live psychic today! Melodie is a professional Astrologer and Spiritual Advisor with more than 30 years experience. Her intuitive insight into your relationships will provide you with information that is ethical, honest and reliable. 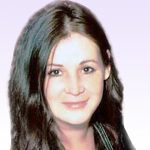 Melodie also has expertise in Tarot, Numerology, Feng Shui and other spiritual disciplines. This entry was posted in Astrology, Horoscopes, Moon & Planets, Starsigns, Uncategorized on August 26, 2014 by Melodie.